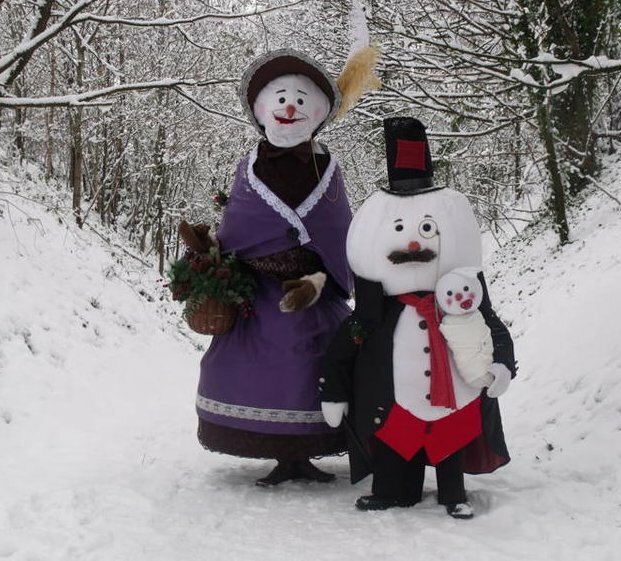 Let the Victorian Snow Family melt your heart! 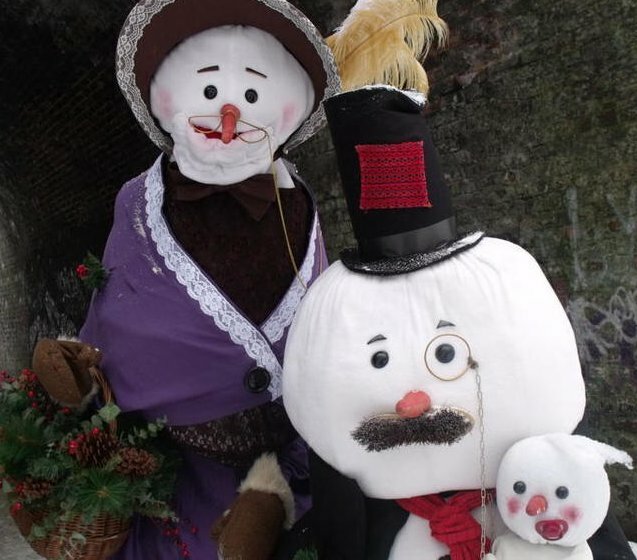 Presenting the esteemed Major Wilfred Winterbottom (Walkabout Snowman), Lady Uphemia Winterbottom (Walkabout Snow woman) and their little urchin Baby Snowflake. With Major Wilfred Winterbottom’s business interests in the Far North failing and his assets frozen the Major has hit the sherry! 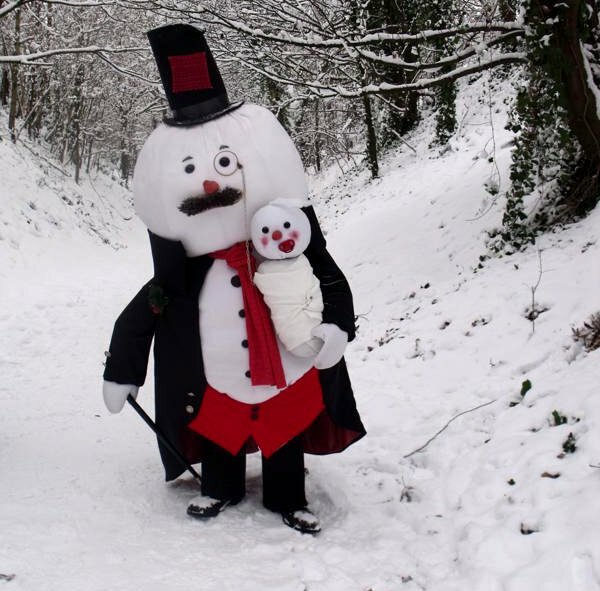 In response to the hard times, the snow family now work the mix n’mingle circuit spreading festive cheer. 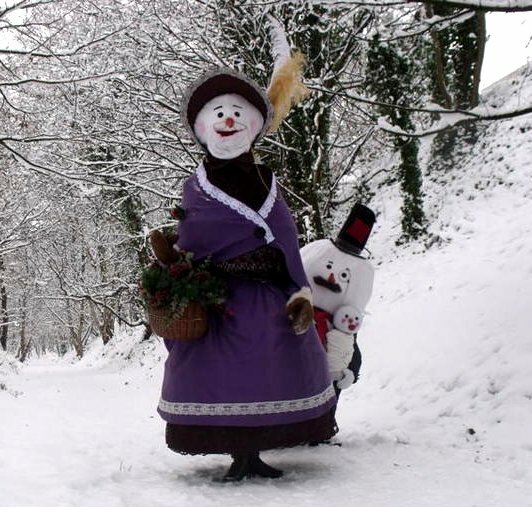 This animatronic puppetry and creature based street theatre walkabout performance is perfect for Christmas themed events. 3 x 30 or 2 x 45 minute sets per day. Phenomenal and Superb are just two of many superlatives that you can use when you describe Epico the Dragon and working with Creature Encounter at your events! From two extremely professional guys with imagination and drive come two outstanding characters; Epico the Dragon and Sir Aurelious Jones, the former who captivated children into believing that Dragon’s really do exist and the later who captured the hearts of many of the ladies present! A ‘tour de force’ in quality entertainment that made me laugh until tears were rolling down my cheeks! A truly wonderful and amazing act that I would recommend without reservation. Epico is the best act I have seen in the last 5 years. They were fantastic! They were a pleasure to work with and really helpful, Epico was a large dragon and they did two fantastic sessions one ended up being an hour long! I hope they enjoyed the event. We will certainly be interested in booking them again next year. Possibly inviting them back for a show. …two of the nicest people I’ve ever worked with. The guys were amazing and the show was excellent, really funny and all the kids loved it. Definitely something we would book again as it was magical. Thanks for all your help.